Now you may be thinking this topic has already been covered but I spent over ten hours trying to figure out why my Google AdSense data was not being added to Google Analytics. 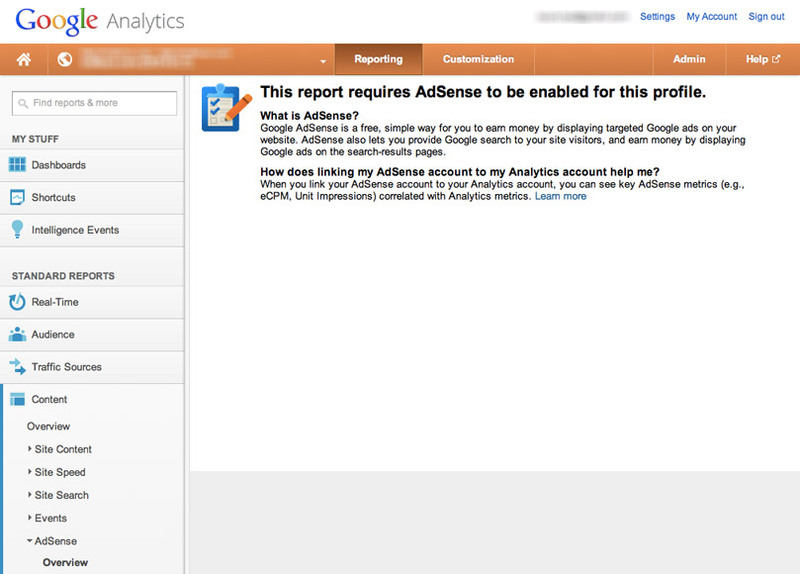 I got stuck at the message that says “This report requires AdSense to be enabled for this profile.” even though it seemed like I had enabled my profile in settings. In my case, I was using one Google ID for both AdSense and Analytics, I had associated the accounts in the settings and followed the general steps outlined by Google but it still wasn’t working. The really frustrating part is that for some of my domains it was working but for one it was not and everything seemed like it was the same when I checked. Ultimately, I found out that the issue had to do with one extra re-confirm checkbox setting that is buried in Google Analytics settings which I will help you find. 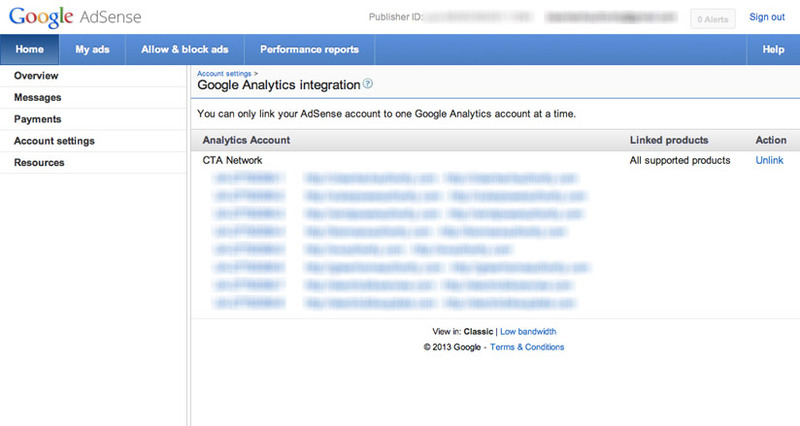 First, note that Google only lets you associate your AdSense account to one Analytics account. This messed me up because I have created separate Analytics accounts for some of my different collections of websites. 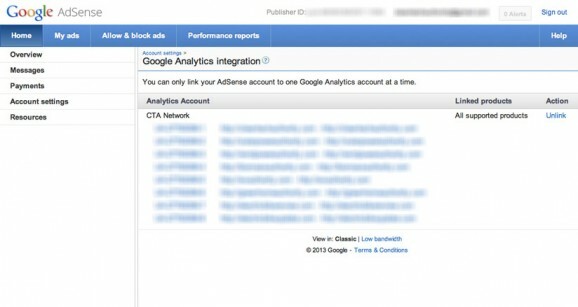 Second, make sure you’re using a Google Account AdSense login that has both Administrator access to your AdSense account and Administrator access to your Analytics account. 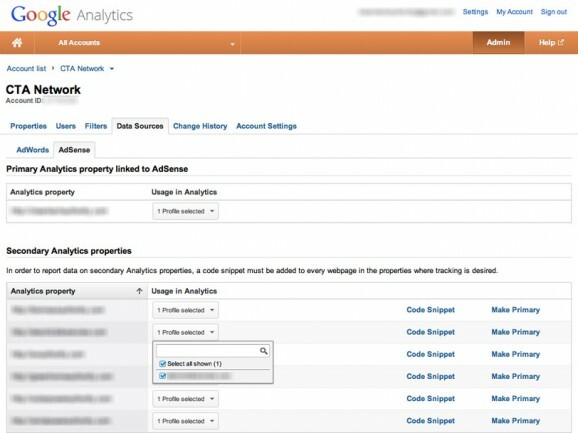 Now just login to Google Analytics, click the Admin button and select the account you want to connect and then the data sources tab. 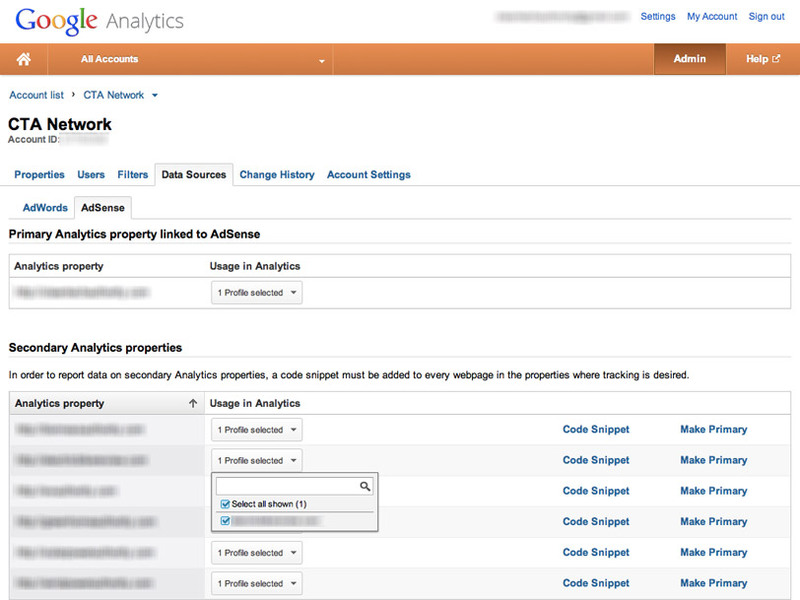 This is the step that I was missing, you need to select the profile once under the “Primary Analytics property linked to AdSense” section and then again under the “Secondary Analytics properties” section if you have multiple websites. There is a small checkbox that needs to be ticked as shown below. Once you complete these steps you should start seeing AdSense data in GA which is very useful. This is the part I missed, see the drop down there with the check box? Make sure you check the box… again. The other part of this that I mentioned above is you can only link your AdSense account to one Google Analytics account at a time. This is done in the AdSense Account settings area as shown below. This entry was posted on Friday, March 22nd, 2013 at 2:36 pm.